With the vision to empower all people to freely connect, create and share in a digital world that is participatory, transparent, and sustainable, for the first time Education Freedom Day has celebrated on 18th Jan 2014. It was decided in 2013 to celebrate this day from the same organizations, who has been celebrating Software Freedom Day. The major objective to educating the educators, librarians, students about the benefits of making and sharing the open knowledge and the tools already in place to achieve that objectives. We in Nepal had started to celebrate this day with the joint effort from Open Communities like FOSS Nepal Community, Mozilla Nepal, Wikimedia Nepal, VTS and GPF Nepal. The program was hosted in GPF Premises in Kamaladi. Start from 11 AM, It was networking sessions where the people/communities has time to knowing each others, sharing cards, making connections. 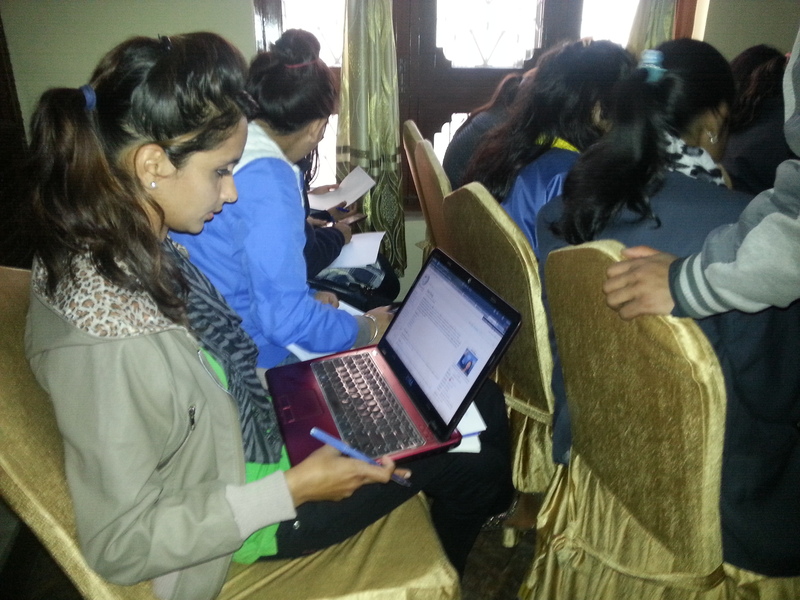 There were some stalls of communities like FOSS Nepal Communities, VTS, Mozilla Nepal and Wikimedia Nepal. 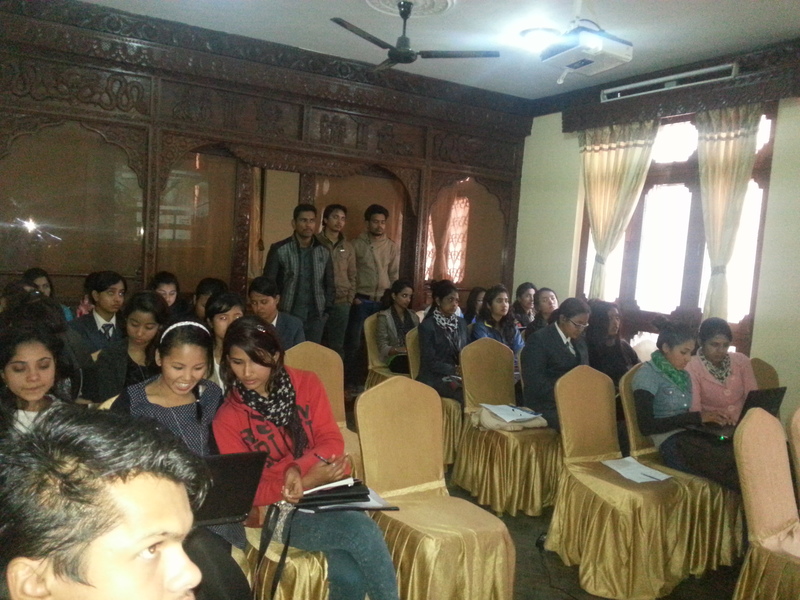 After 1 hour, Everyone entered to seminar hall, where we were suppose to present 3 topics in 1 hour. 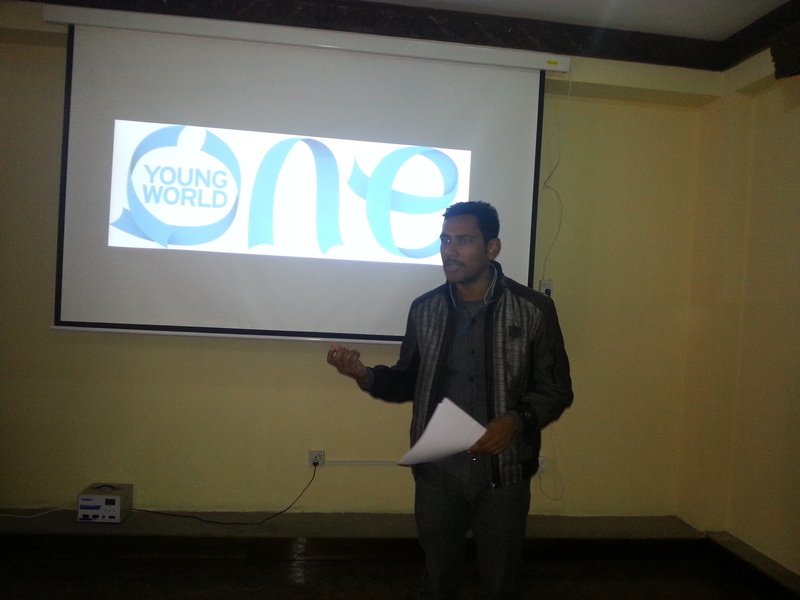 Prakash Neupane started the program with the objective of Education Freedom Day. 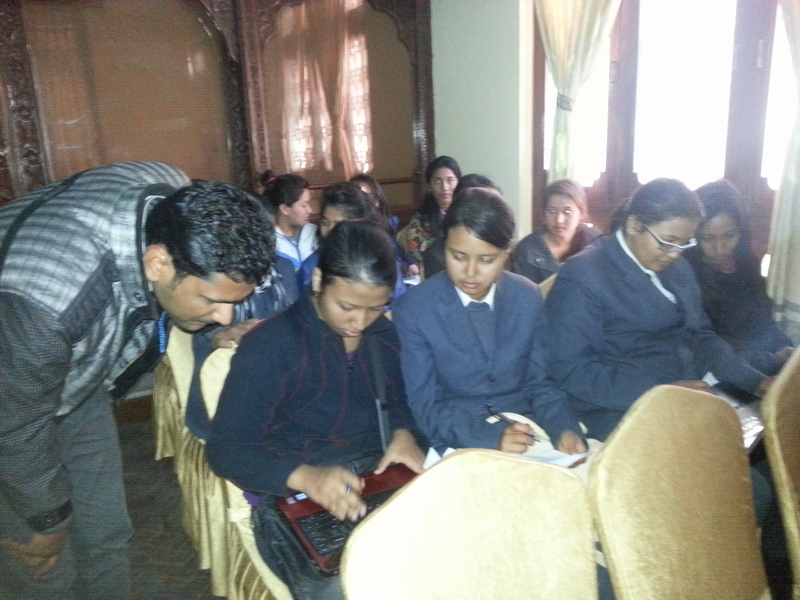 Prabin Gautam from FOSS Nepal Community also working as the lecturer in Kathmandu University was there for presenting FOSS for Education. He showed the example of open source software that educational institution can use. 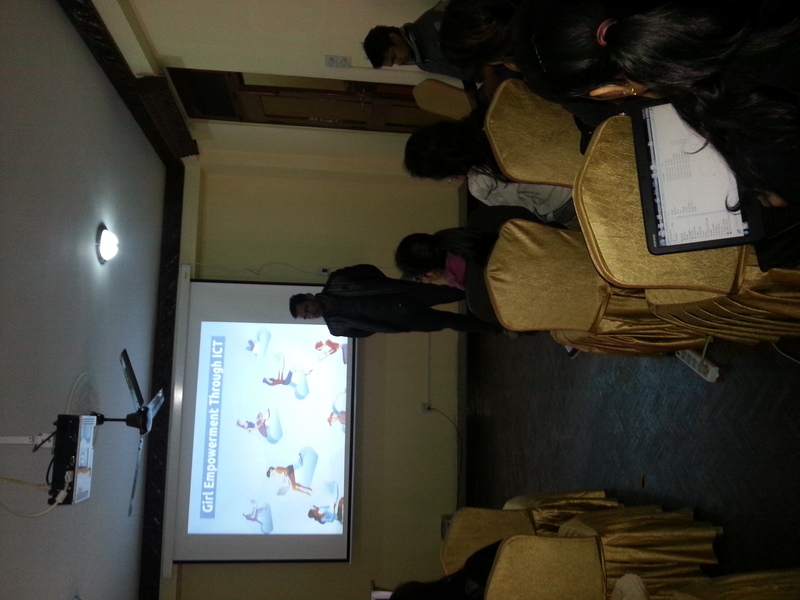 Ganesh Poudel, from Nepali Wikimedia Community shows how professors and teachers can use wikipedia in class. He shows some case study of it. 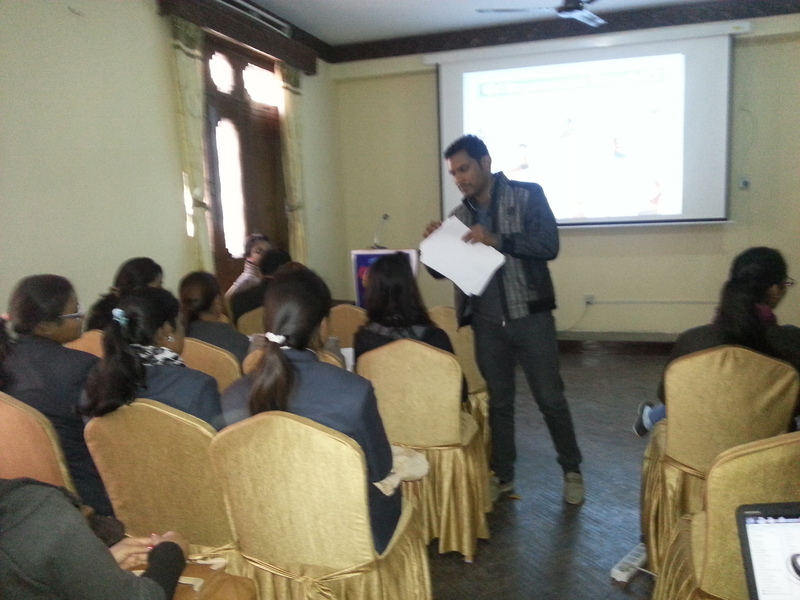 He explain about pilot program of Wikimedia Education Program in Nepal. Martin Dluhos from Czech Republic, who is currently volunteer on OLE Nepal for OPLC program, and working in Free Software Foundation on past One Laptop Per Child : Universal Educational FOSS Platform, He presented the overview of OLPC, vision and demonstration of it. 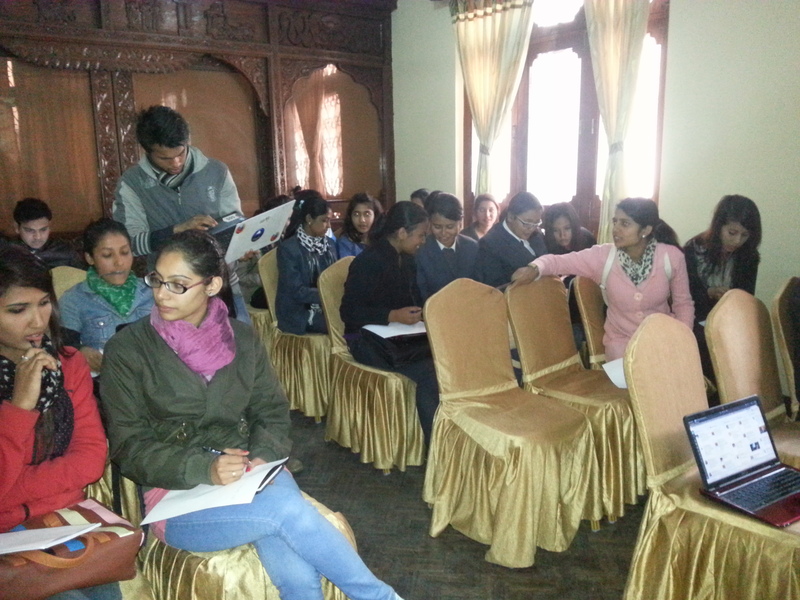 Around 50 people actively participated this event. 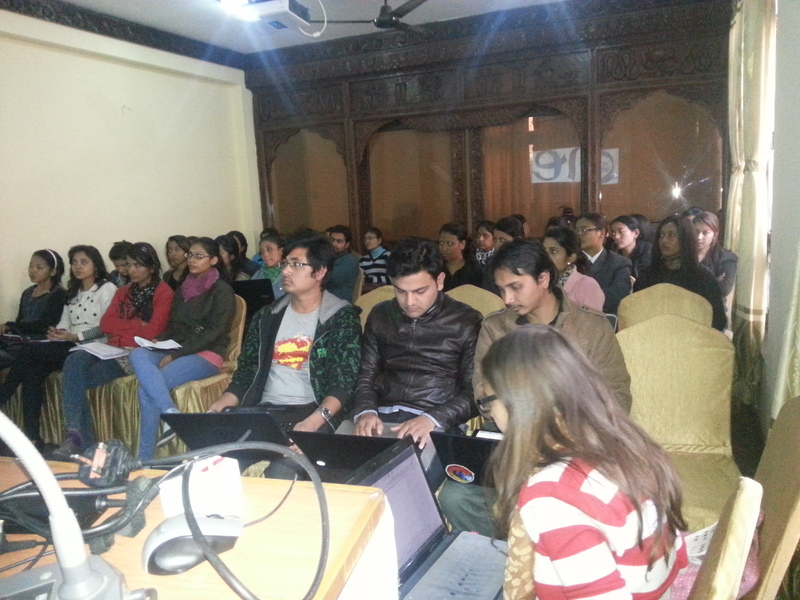 Probably the first event in 2014 where all the open knowledge activist gather up for mission. Most of the countries, Government has protected the Right to Information of their citizen. In Nepal, Government has also consider it through the ACT called Right to Information Act, 2064 (2007 ) (https://www.google.com.np/url?sa=t&rct=j&q=&esrc=s&source=web&cd=1&cad=rja&ved=0CCgQFjAA&url=http%3A%2F%2Fwww.moic.gov.np%2Facts-regulations%2Fright-to-information-act.pdf&ei=JZGIUuitKI2FrgeJ64HgDQ&usg=AFQjCNFmgNGLNwFJhMM3cPVKvebjDPap3g&bvm=bv.56643336,d.bmk) . But the implementation is still very traditional and not well known status of it‘s progress. The idea of meroRTI is to facilitate this act using technology and monitoring the accountability and responsibility of government and civil servant over citizen’s right . This will help the people to find the information they need from Nepali Government, Political Parties, NGO, and other charities organizations who run from the citizen’s money and support. The person who want information will simply make the question to specific department or office, where we help to connect the responsible person to connect with that question. So that he/she can provide information. The name meroRTI itself express it’s connotation “which means My Right to Information”.Well, this project will be online, so it help lot of people to find out the information very easily and due to the archive of information no need to spend time to ask the same question, even the government office don’t need to replicate/response for same things. This project concept is very similar with https://www.whatdotheyknow.com/. You choose the public authority that you would like information from, then write a brief note describing what you want to know. We will be the liaison to play the connecting role where we will send your request to the respectivepublic authority or officer. Any response received is automatically published on the website for you and anyone else to find and read. As We can see this project need multi-stakeholder approach ranging from technical organization, CSO working on Right to Information domain, media and government , so this project will be the joint share by Open Knowledge Foundation Nepal and some other strong organization working on Right To Information in Nepal (preliminary discussion with Freedom Forum and further scheduling with Accountability Lab). Where Open Knowledge Foundation take the responsibility of technicality and other organizations will take the charge for operational role. I am going to use this grant very effectively for this project preparation, I will do research/study, mapping and cooperation with other organizations to make the favorable situation to implement this project. I am sure we will have better situation for People’s RTI in Nepal. I have to go though a long way …. 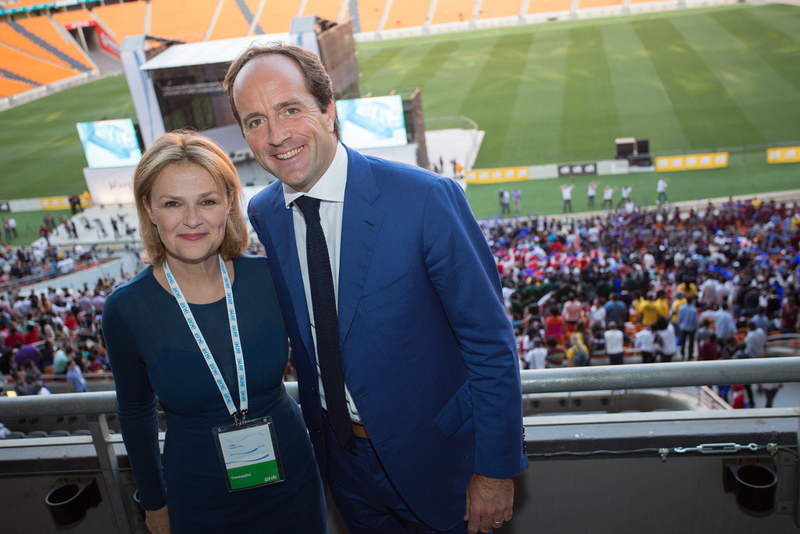 right now only i can say thanks Shuttleworth Foundation for fellowship …. Transparency International launched Corruption Perception Index of 2013 among 177 countries. The index scale from 0 [extremely corrupted] to 100 [very clean], and interesting none of country has achieved 100% and result stated majority of countries has scored less than 50. Most of the European countries has good position and top score (91) is also hold by Denmark and New Zealand . Mostly the low score has occurred by Asian and African Countries: Somalia, Afghanistan and North Korea are the lowest scorer with value of 8 in 177 Countries. Here I am going to more focus on the situation of South Asia, unfortunately Maldives isn’t in list and We already knew Afghanistan’s situation is worst, beside it we will try to explore more about Bangladesh, Bhutwan, India, Nepal, Pakistan, Sri Lanka. If we checked the status of Nepal from 2009 to current, it seems Nepal has done some progress these years. 2010 and 2011 seems persistently poor. The Next step toward being clean for Nepal should be comes from opening all the gates from government to their citizens to know what is happening. They should respect the right of people and should be more proactive information provider. Being Civil Society, Our mission will be make our Government to think about the “Open By Default” and prepare Nepal for Open Government Partnership. In Nepal, CA election result is coming on. very unexpected result has seen, Everyone is observing the things happening here. People are starting to predict the outcomes of new constitution While the time, we have decided to organize full week election data activities, where we can present the result in more better way, so more people can understand it. Open Election Data Week is happening from 24th Nov to 30th. This is only online event, so you can contribute from anywhere so matters where u reside. If you like to contribute, please participate by filling this form…you will get confirmation with some guidance. I was very simple person with extensive intense of make impact. I left my job (s/w programmer) year ago and start living life with people, issues and actions. I believe in technology and people, so I always ready to spend time with communities. I worked with Free and Open Source Communities, Google Developers Group, Mozilla Nepal, Wikimedia Nepal, CSIT Association of Nepal, ITS Nepal, Nepal Russia ICT Society, UNICTS and many other communities. This makes me learned and inspired to deal with issues. 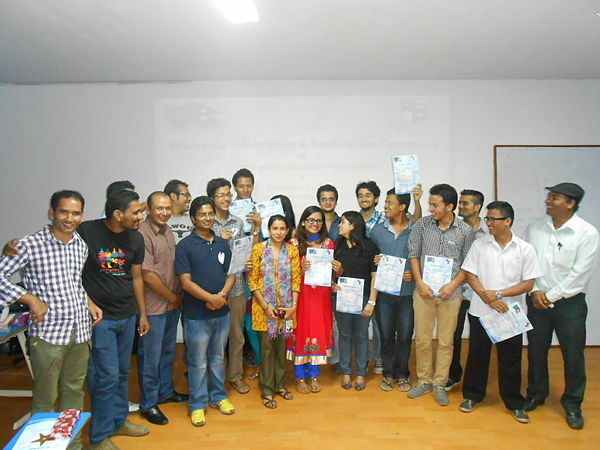 My most amazing experience with FOSS Nepal Community to work for promoting and flourishing the no option open source software in country like Nepal. Open Knowledge Foundation Nepal is perfect field for me to deal with Open Data, Open Content and so on, which make me contributed for people’s Right to Information, making more transparent and accountable country. So I must say, it make me more confident on technology rules. I was suppose to attend the Mozilla Summit in San Fransisco on Oct 4-6, I was on preparation of it. 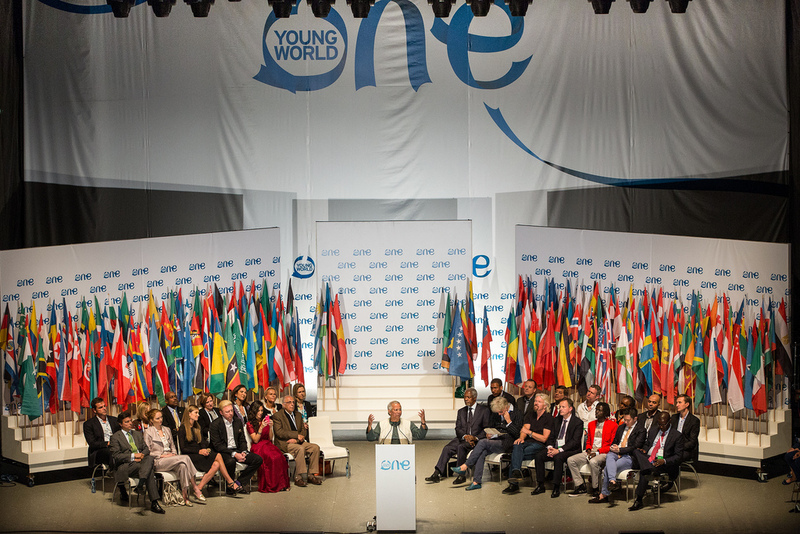 One day I saw email from One Young World which stated that I am selected for attend the One Young World and some one has sponsored for it(It was 2 week earlier than program). I was undecidable, I didn’t know One Young World very well, I even forgot when I had applied for it. Program sounds not much compatible with me as compare to Mozilla Summit. So I took 2 days to decide it, I started to research on One Young World, learned a lot about it. And finally I found this is incomparable with anything. I felt like I am one who is lucky in this world. And most important thing I was one one from Nepal, flag bearer for my country. 190 countries was expected there, if I missed to go there, then obviously it would be 189 missing Nepal. So I gave me more effort in my decision. It was not very easy, I need visa to go South Africa. Organizer sent me Visa Wavier Document, and invitation letter to make it easy, so it means I didn’t require to apply visa. I confirmed it I went to the Immigration Office in Kalikasthan, talked with them and confirmed everything. On the day of my flight I went Airport 3 hours prior than time. I got boarding pass from Airlines. But Immigration Officer of TIA stop me because of not having visa, they were on point that visa wavier document in not enough to secure my status to getting green signal immigration, They complain the document itself don’t mention my name. They aborted me, airlines took back their boarding pass . I fought with them for 1.30 hrs but it couldn’t work. At the end I asked them to give me one letter explaining why I was being aborted. They agreed and meantime one officer ask me what will you do with it. I simply replied I will talk with media about this. It made them to think and with the discussion and suggestion of Airlines of such cases they finally gave me signal to go but with one contract stating “If some thing went wrong with me, Immigration Department has not any responsibility” I smiled and signed that contract. I really like to thanks that two guys of Jet Airlines (one was Indian and another Nepali). They made 15 minutes delay flight because of only me. The World Class African City, The development of this city itself is inspiration for world. The progress done after the revolution proved how it can works, it was the great story for us. 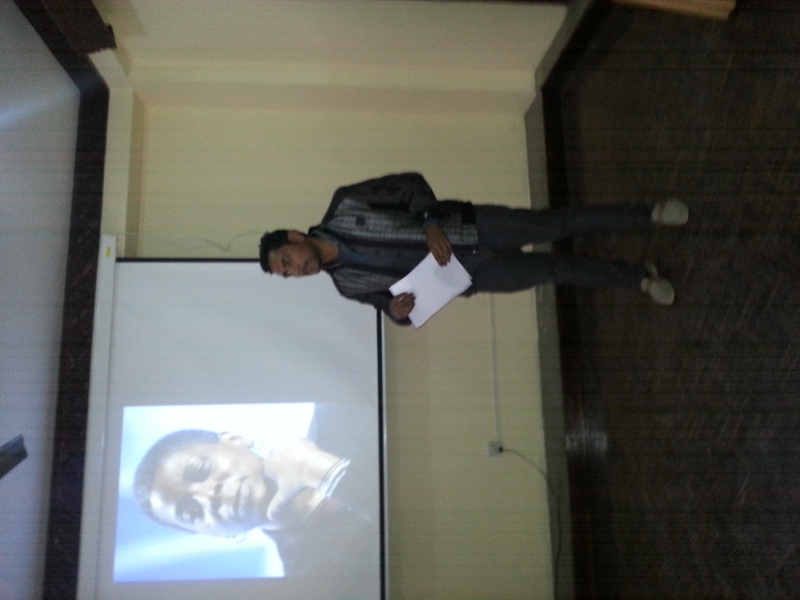 Story of Nelson Mandela is the divine guidance for us. But more than that, We really amazed to know how the youth are working to solve problem in the nation. The achievement from cooperation and coordination is the great learning for new and old generations for rest of the world. 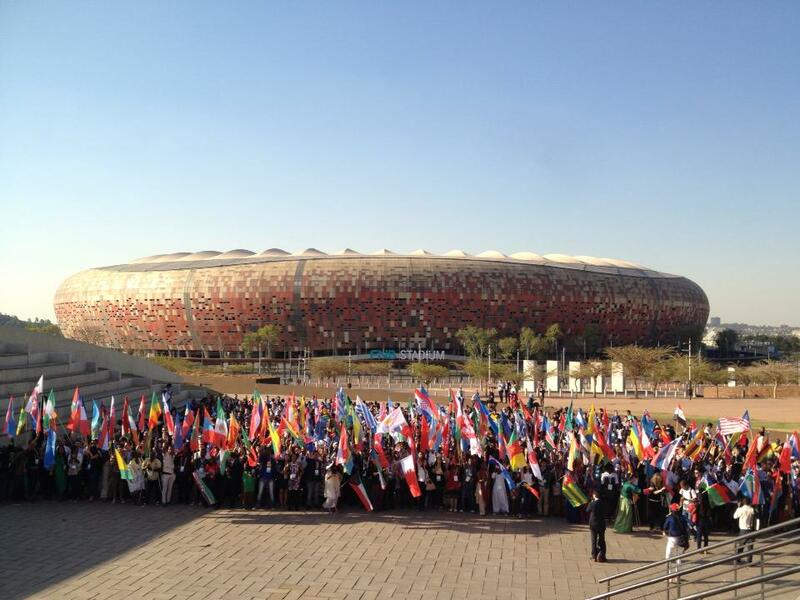 Can you imagine 1300 people from 190 countries in same floor, and whomever you talked they are awesome. 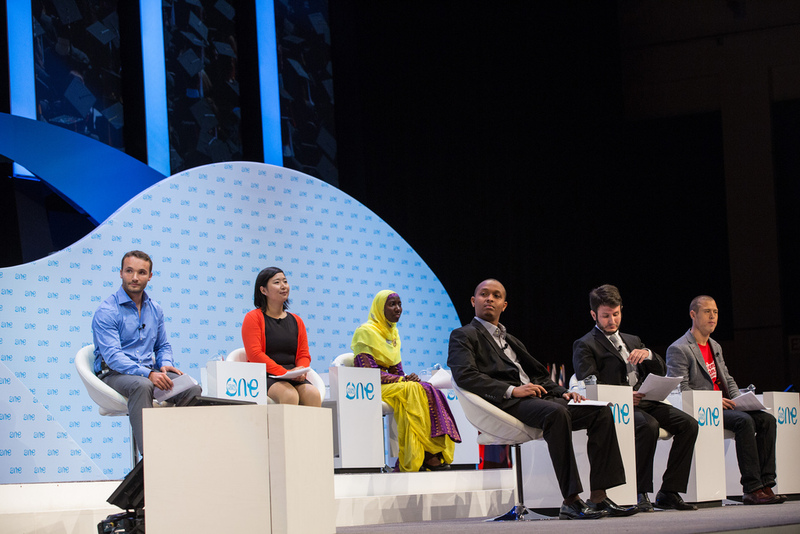 These 1300 young people has the capability of changing this world. They are doing interesting works. This is only program who has the biggest participation after Olympics. The whole credits goes for Organizers. I didn’t see any pitfalls. The correspondence with each and every member, managing resources, program management were also the uncompetitive. I can’t measure but I can say I am changed, I feel more confident, I feel more lucky and blessed. My thought process has been changed, my observation on anything has been changed. So after back First, I changed the business model of my company, We have decided to go for Social Business. But this is not enough, I have to go more…. I have to think for Youth Employment inside Nation, inside Locality. I have to think for Better Education System. 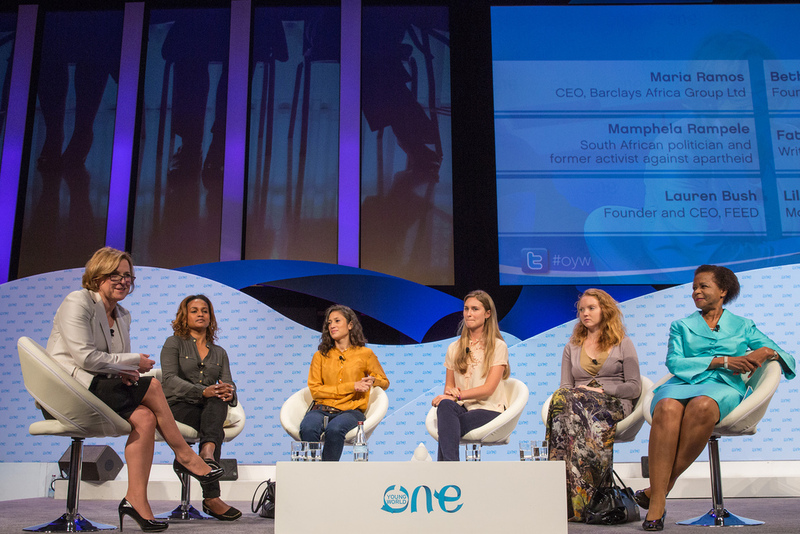 I have to think about Gender Balance and Women Empowerment. 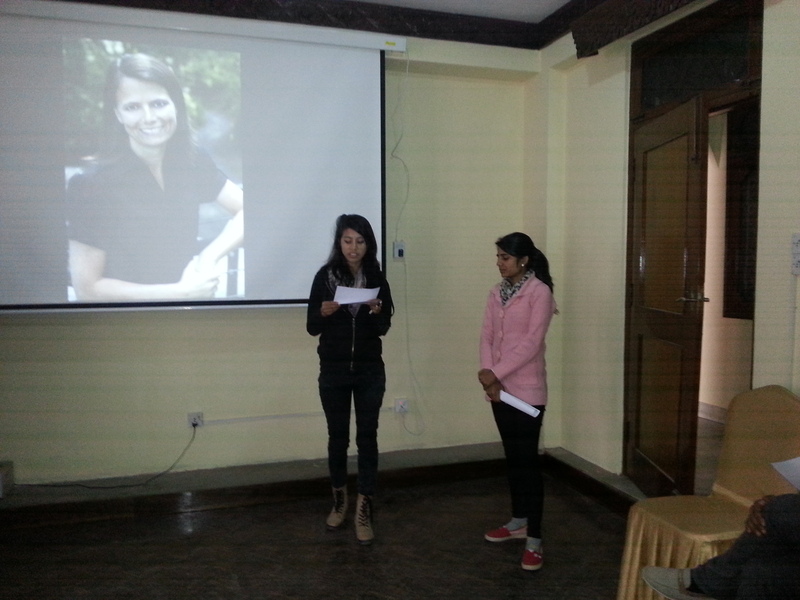 One interesting thing, I am starting to telling the story that I heard there, that I learned there…… Thanks Russian Center for Science and Culture and Nepal Russia ICT Society to provide me the opportunity to share my experience with young people. The Nepali Wikipedia has a great history. In 2002, one year after the establishment of the English Wikipedia, the Nepali Wikipedia was formed, but our journey was not as fast as it perhaps could have been. 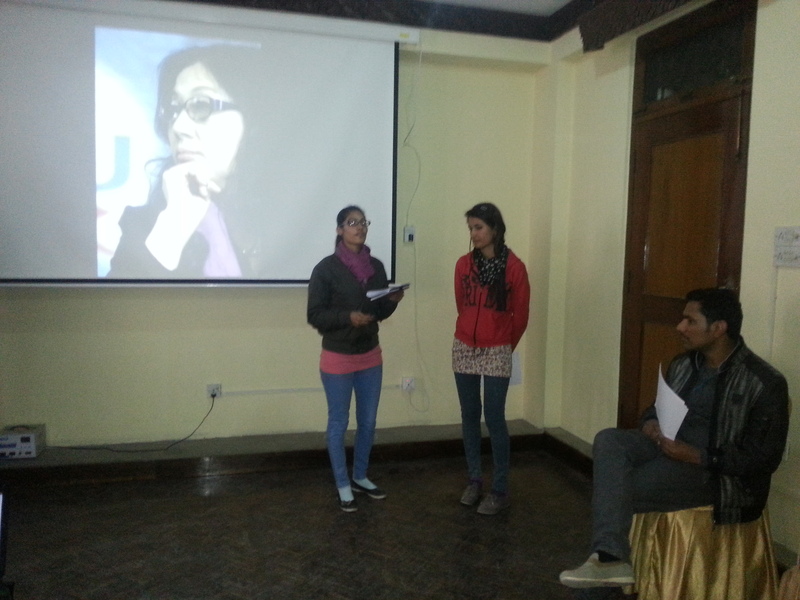 After 11 years, in 2013, Wikimedians of Nepal was recognized as a user group, and one of our first steps as an official group was to do a pilot of the Wikipedia Education Program in Nepal. It was not easy, as we didn’t have any kind of existing organization at a university, but our pilotwas a success! 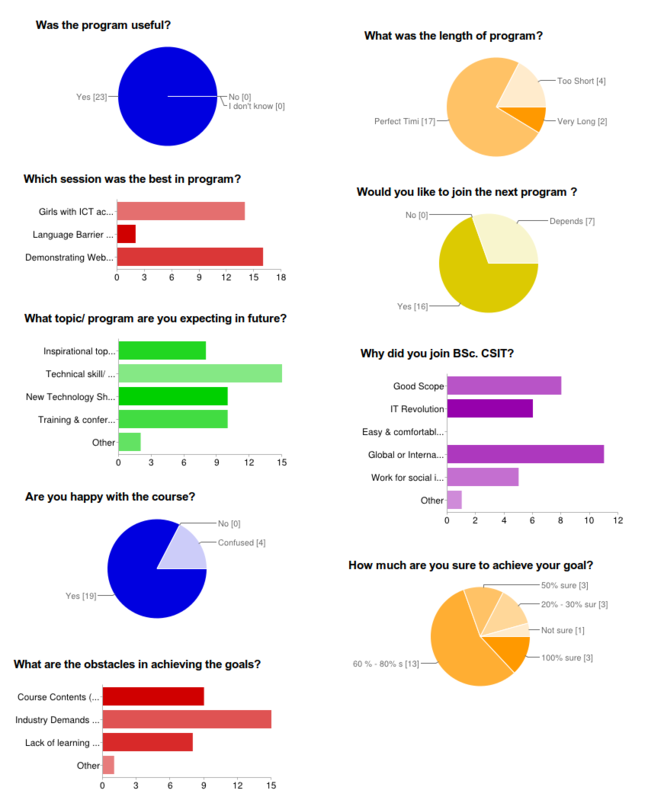 First, we looked for a suitable educational partner for our pilot course. We used the criteria that the college must have an acceptable minimum of resources, including individual machines (computer/laptop), Internet availability, electricity backup and available time. 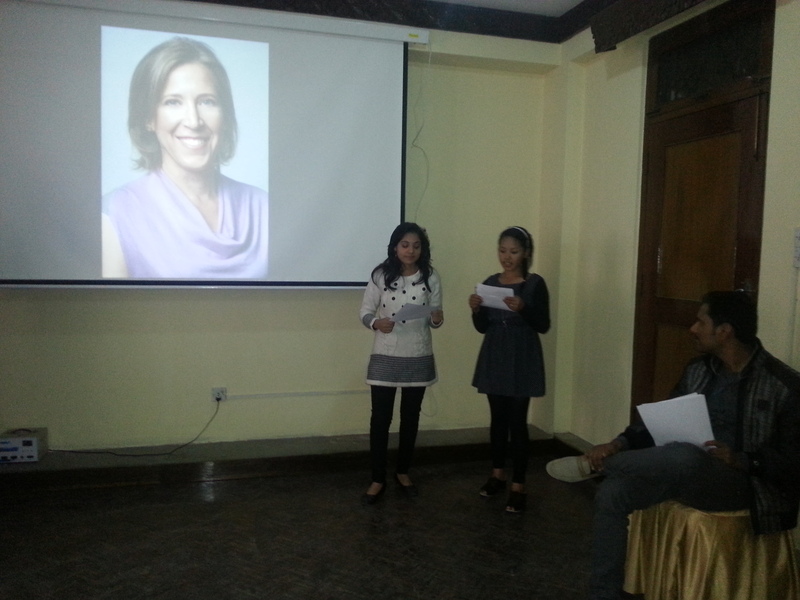 We talked with a few institutions and ultimately selected Islington College in Kathmandu. The journey started with an orientation for roughly 150 students, covering what Wikipedia is and background about the Wikipedia Education Program. We distributed a registration form to participate in our pilot program, and from the people who filled out the form, we selected 50 students. 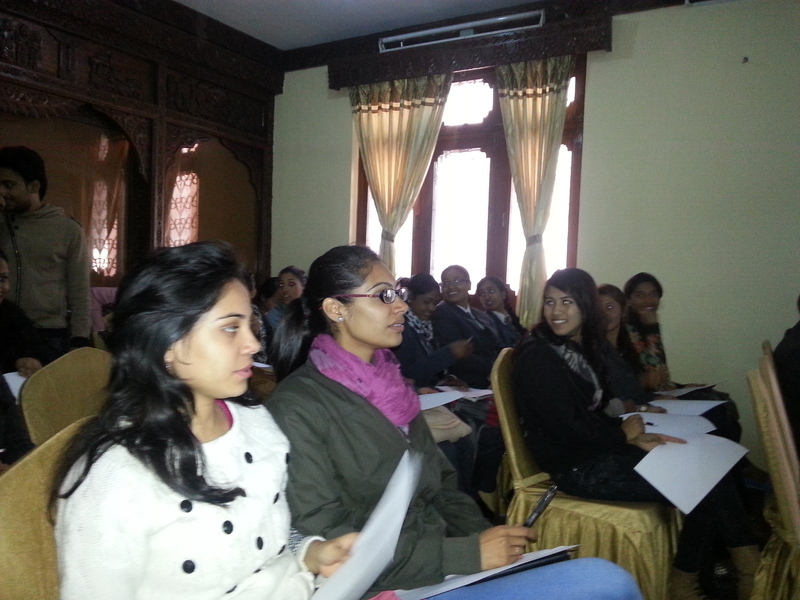 These students participated in a three-day training to make them more familiar with Wikipedia. 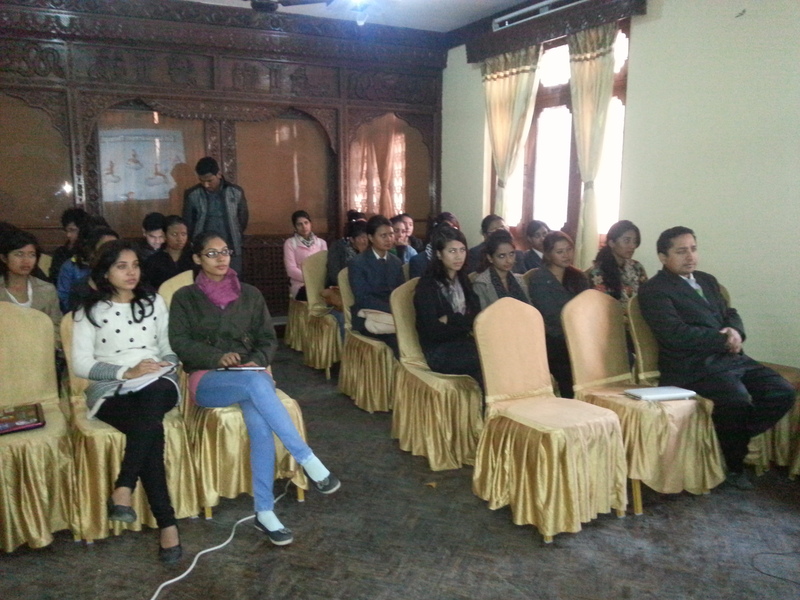 Based on their interest and performance in this training, we selected 25 final participants for the Wikipedia Education Program pilot in Nepal. Students we selected were supposed to complete a 12-week assignment to write Wikipedia articles. We scheduled the class two days per week (Monday and Thursday). We started the course by teaching skills needed to write Wikipedia articles, and we cultivated an understanding of free licenses and copyright. After a few weeks, the real work started. Students working in a team or a pair selected one location near the college as topics for their articles. Students went to the venue and collected all the information, snapped some pictures of it and researched it. After that, students worked together to create the articles. 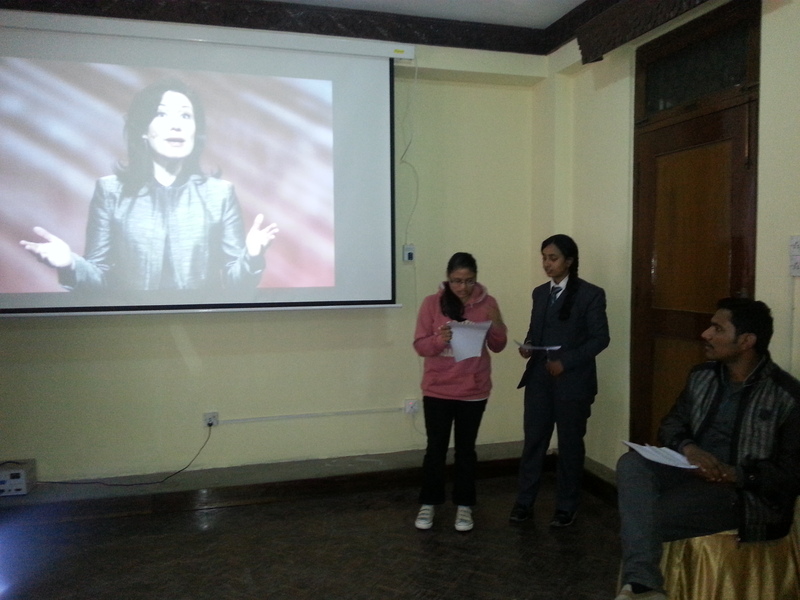 In the third stage, all of the students worked together, so we chose the common interest topic Pashupati Temple. The world heritage site is a popular and prestigious place for Nepalese people. The Executive Secretary of Pashupati Development Trust gave us an hour of his time and explained the site’s historic value, its development, its current status and more. Two staff helped all of the participants visit the temple and explain each important detail and they provided published books to us for more information. 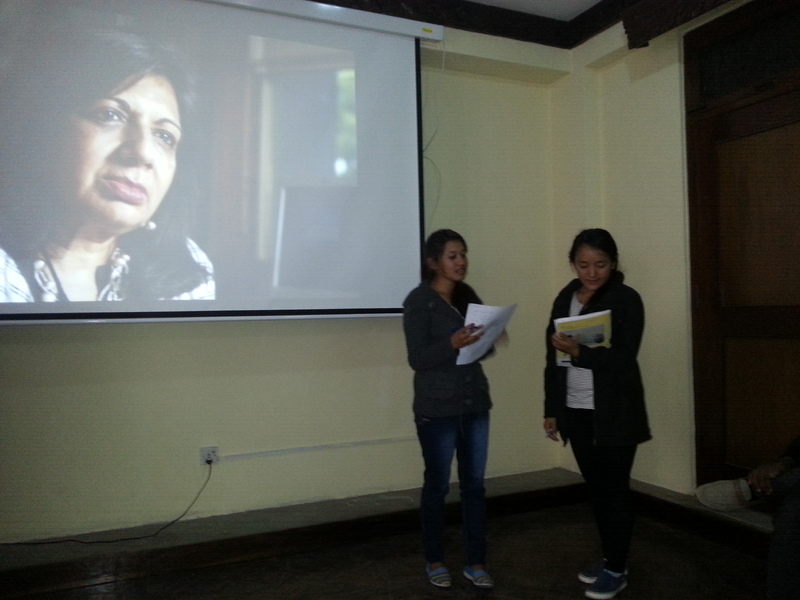 Students worked together to build a beautiful article: पशुपतिनाथ मन्दिर. In the end, 15 students presented what they built and what they learned. As recognition, we provided the students with a certificate showing the score they obtained and a special “Wikipedia Driving License.” This was the journey from 150 students to 15 excellent students, so I must say this was also one of the most important learnings for our team. 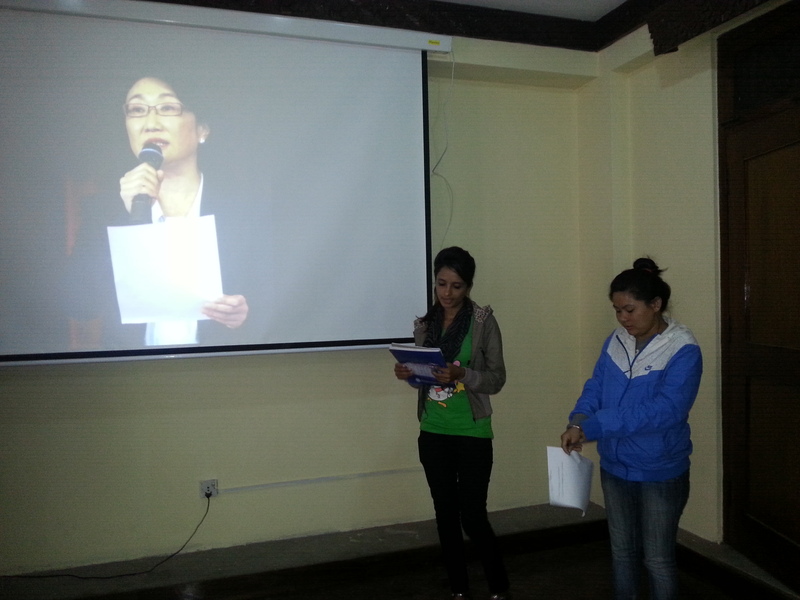 last week we had a review meeting with the college administration. We discussed the result, the achievements from both sides, and ways that we can improve the program. Getting 15 students sounds good, but still we felt like we missed some students who joined and our task is to find out why. We talked about the best case for next time and we are thinking about implementing a Train the Trainers model. After this exercise, we are feeling more confident about running this program and we are looking forward to implementing our learnings in the next course we run! Development of time and experiences results the people to be more conscious and participatory on the activities around it. As compare with everything, politics and policy is in always in priority, either people beloved or hatred. So the developed counties seems like are already in the practice of Open Government. Even some developing countries are also moving, but this is only possible when the tremendous untapped resource of government become accessible as open definition, which ensure use, reuse, modify and redistribute. Election is central interest of citizen of every nation and the Constitution Assembly Election is even more than other. It is the base for law, need, demand, voice and driven way of direction of further way. It is the right of every individuals to know about the activities and agendas of it. In other word, people has the chance of closely participating(not just limited with vote) in CA Election. They want to participate each step of development from election to constitution. It means the whole way of election should be accessible for single person. The one of the way of doing this is possible through internet and mobile. We know Election Commission of Nepal has already practiced to do it through website, but still it is not accessible. This is happening due to the vendor dependent platform. They are using strict platform like Internet Explorer, file are on PDF, So it already blocked the further development. In other countries, It doesn’t means all the innovative development has to done by government(election commission) itself, they just always open the possibilities by opening up the whole information and make it easily accessible. So the election commission should be implement open data as per the open definition principle. 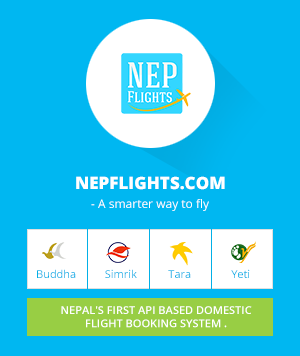 For simple example, if election commission put the information about the registered parties of election, their candidate and other related information, then other organizations or individuals can build simple mobile application to profiling those information, so every Nepalese can easily find the information about their candidate. So they can vote to right deserved individuals rather than party. There are different model and platform have been using for election purpose. Some applications can use for information, some for monitoring, some for proofing. Ushahidi platform, one of the mostly used platform initiated for election of Kenya can be better option for Nepal as well. This is the simple reporting platform, for reporting the status of anyplace anonymously, people can report using their computer/laptop or smartphone or simple mobile through sms. As we already have report of 75% mobile usage in Nepal, so this could be the right option to use. What ever I said above my concern is on adopting technology to enhance the whole election process, maintain transparency and engaging the citizen. The only way of doing this is only if the whole things related to election is open. Kathmandu, city of temple, capital of naturally enriched (Mountains, lakes, Hills, River) palace Nepal. Where people believe more than 4 millions (but record shows 2.5 millions) people reside in 50.67 square km area. All the governance body(ministries, departments, commissions), legislative body(Supreme Court, Armed Court), Security Force (Nepal Army, Nepal Policy, Armed Police Force) are centralized in Kathmandu. People have to come Kathmandu for going outside from Nepal, because only one international airport (Tribhuwan International Airport) is in Kathmandu. So it is obvious, the huge budget is spent for Kathmandu. 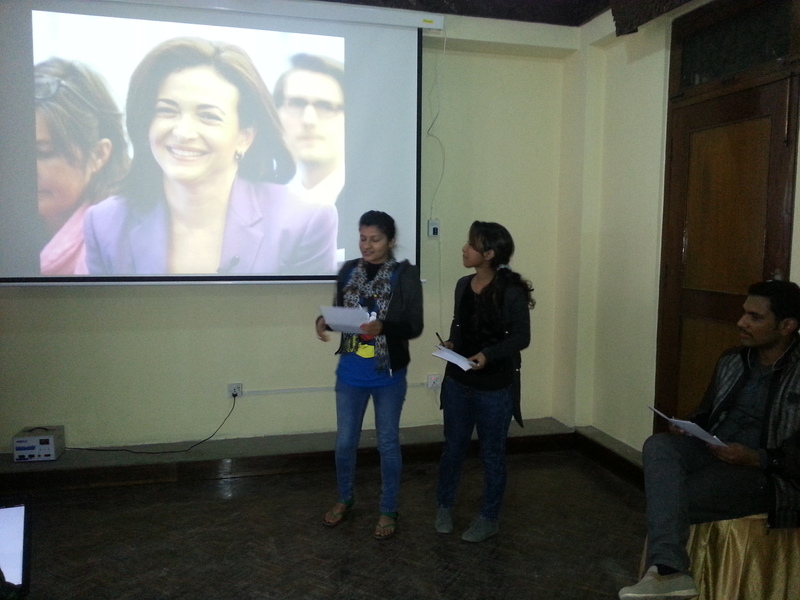 Open Knowledge Foundation Nepal, organized City Spending Data Party on July 19-21. 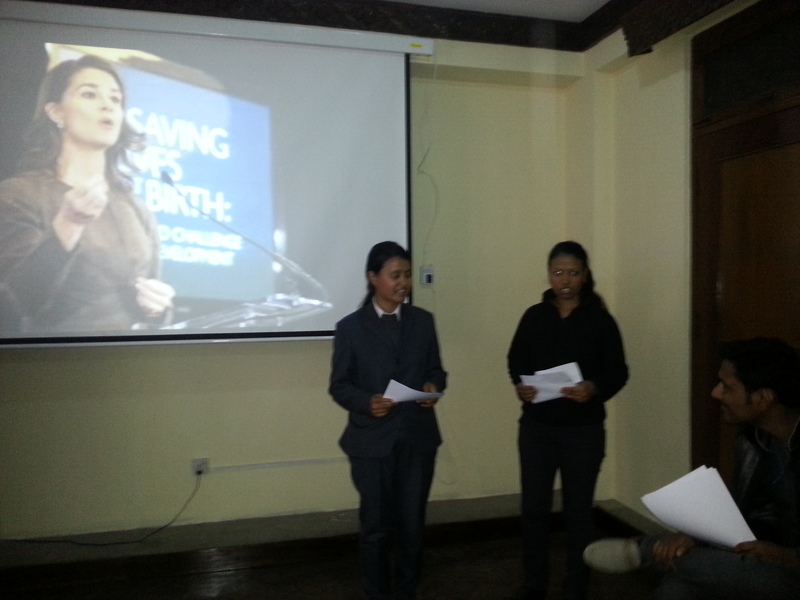 The objective was to work on the budget of kathmandu metropolitan that was announced just 1 week back. 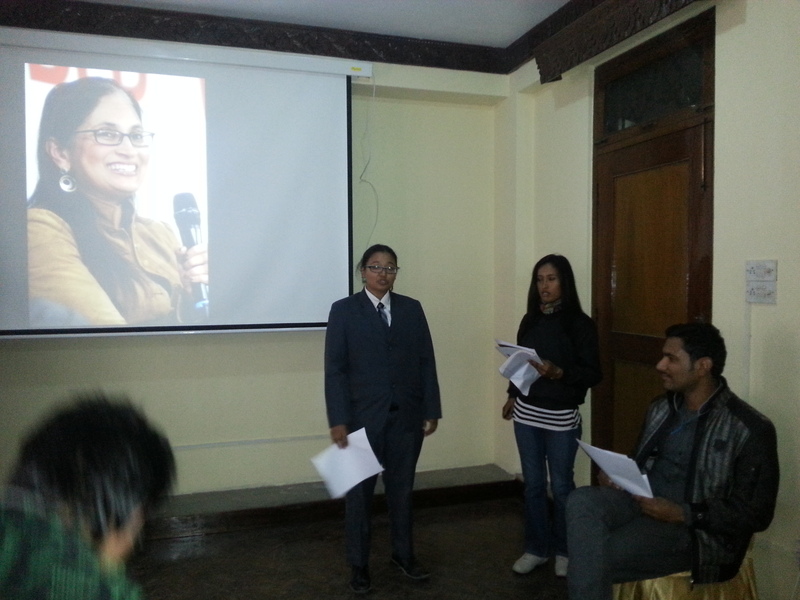 The program was invitation only , so the announcement for participation was done in 12 july http://np.okfn.org/2013/07/12/city-spending-data-party-kathmandu-2013/ . And finally selected 12 participants on the base of first come(this was for first two days while last day was public). Data Wrangler team download the pdf file of 22nd Kathmandu Metropolitan City council budget for fiscal year 2070/71from the official website of Kathmandu Metropolitan. Visualizing the information from the budget of Kathmandu Metropolitan city in simple charts and spending visualizations. 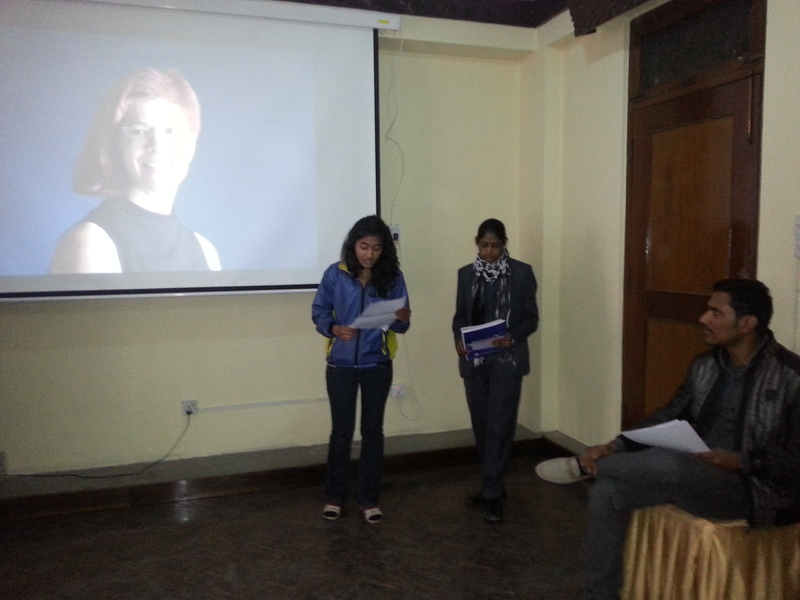 We presented what we had made in last two days. DashboardDiscussed issues and problems we had faced while working. We have written this post explaining the output. The output from openspending.org is at the top of the post or you can find it on OpenSpending. The event was good learning for all, The first challenge was to extract the budget information from pdf, so it took almost whole day to properly extract the data from it. Second major problem was the language, the font was preeti, which means it was not in nepali unicode, the interesting thing is, Nepal’s government has already address this through policy but due to the lack of proper management, it is not implemented in many place. Third was, lacking of technical knowledge of platform, later we studied and made it finally. 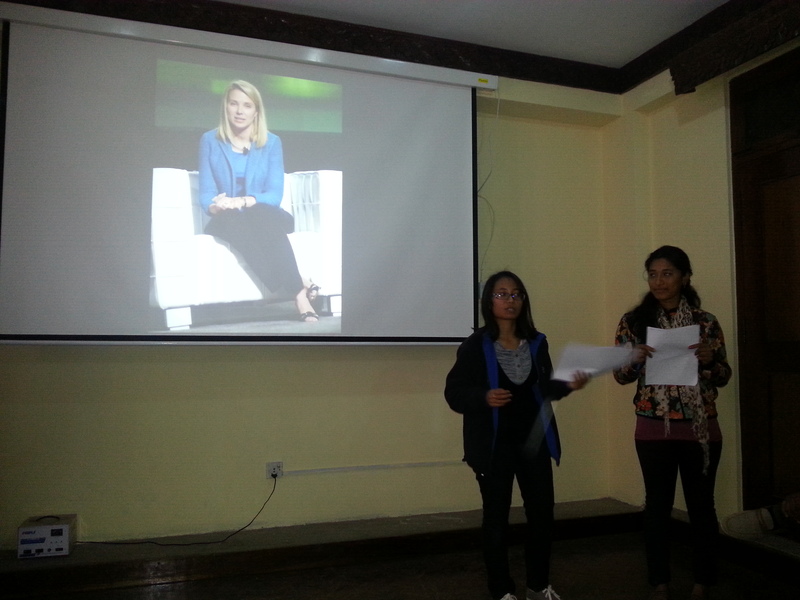 After doing this event, Kathmandu Metropolitan appreciate our working and suggest us to give them feedback and also invite us there to resolve those issues. After this event, different social organizations, media are willing to collaborate us for the event like this. We are planning to start a class to learn more technical skill with schoolofdata.org as well as a regular class with experts. We are going to work on whole government budget soon.